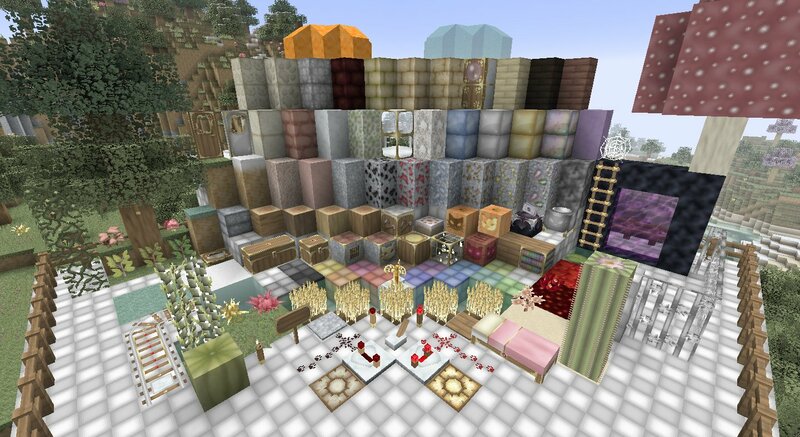 LoafCraft is a beautiful 32×32 texture pack with bright colours and an underlying cat theme. Beautiful texture pack, I love the white cobblestone and as well as the other textures and colors. Very easy on the eyes, the colors blend well. And I love cats. Thank you, Amalah, for such a well-done texture pack. This texture pack is AMAZING! Thanks for this texture pack! The text for multiplayer is almost impossible to read. This is a great texture pack! Im a cat lover and i dislike dog lovers!!! hey i love your texture pack!!! Actully, I am downloading the pack right now! But I do love those paintings in the background of the second picture. Ooh and the beds. Awwww, the cat looks so cute. Might get this pack. It is quite “Pretty” but kind of toonish just IMHO. It is very happy though. 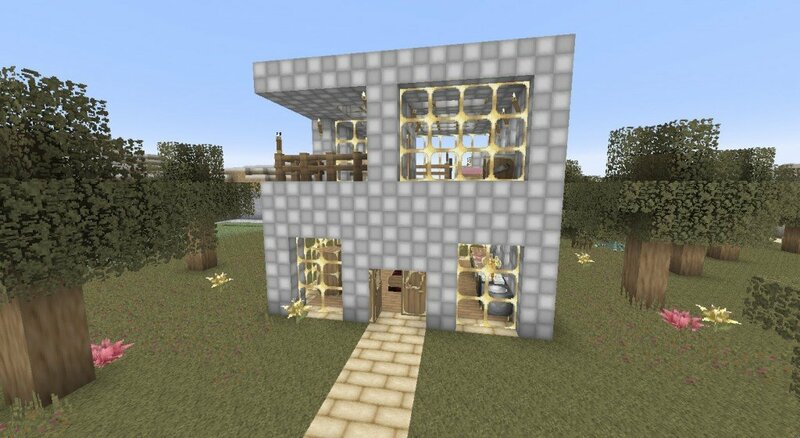 you guys who dont have this texture pack and you have minecraft well hop on to safari because this will change your minecraft life seously get on now!!!!!! This texture pack is really awesome. I like the colors and the drawings!!! I LOVE CATS this is such a great texture pack! 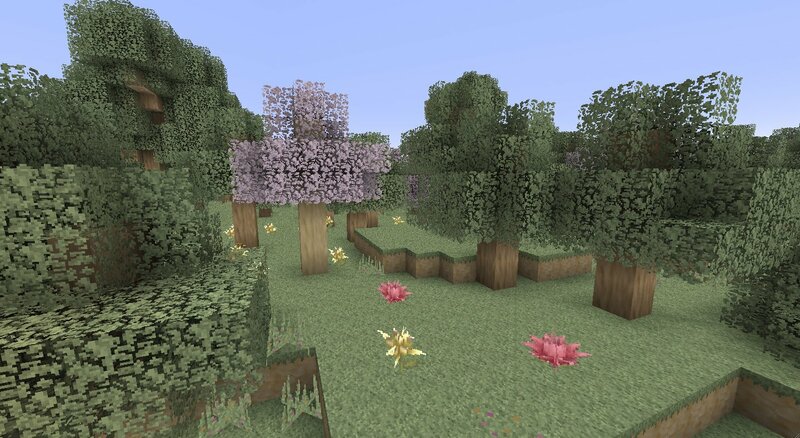 this is such a wonderful texture pack im going to reccomend this to all my other minecraft friends!! this texture pack fits me well! Minecraft is not just for males, also you could be more constructive with your feedback. If you don’t like it because “it’s too girly” then don’t use it. I agree with you,Peochi.This Texturepack looks so Great,Cute and it’s AWESOME!Good job.But it Really needs to be updated to 1.7. Just a perfect resource, I love cats! This was my dream, thankyou, creator of this texture pack, for making this! Its gorgeous! It looks really cool,I’m getting it tomoz! As others are saying… I love this texturepack, and it’s tons of fun… but I would really love if it could get an update? It’s hard to get immersed in the world of loafcraft if you’re playing it and playing it and then suddenly a block that isn’t included in the texturepack disrupts the whole thing. A 1.8 version would be much appreciated. It has been updated elsewhere, and that is true, Who has the link? I’m stuck using sphax 1.8 to cover up the blocks that aren’t included and I hate that! Beautiful. I love the light texture if you know what I mean. The diamond sword looks awesome.